"Falstaff Magazin" has rated the wine "Gaja Pieve Santa Restituta 'Sugarille', Brunello di Montalcino DOCG, Italy" from the vintage 2011 on 18.03.2016 with 93 of 100 points. "Robert Parker The Wine Advocate" has rated the wine "Gaja Pieve Santa Restituta 'Sugarille', Brunello di Montalcino DOCG, Italy" from the vintage 2011 on 01.03.2016 with 95 of 100 points. "Wine Spectator" has rated the wine "Gaja Pieve Santa Restituta 'Sugarille', Brunello di Montalcino DOCG, Italy" from the vintage 2010 on 30.06.2015 with 96 of 100 points. "Falstaff Magazin" has rated the wine "Gaja Pieve Santa Restituta 'Sugarille', Brunello di Montalcino DOCG, Italy" from the vintage 2010 on 20.03.2015 with 95 of 100 points. 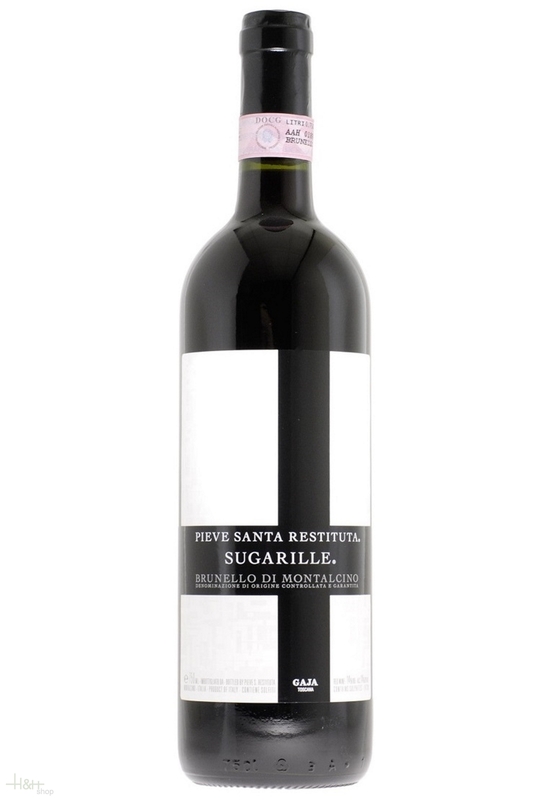 "Robert Parker The Wine Advocate" has rated the wine "Gaja Pieve Santa Restituta 'Sugarille', Brunello di Montalcino DOCG, Italy" from the vintage 2010 on 28.02.2015 with 96 of 100 points. "Vinous Antonio Galloni" has rated the wine "Gaja Pieve Santa Restituta 'Sugarille', Brunello di Montalcino DOCG, Italy" from the vintage 2008 on 01.09.2013 with 94 of 100 points. "Wine Spectator" has rated the wine "Gaja Pieve Santa Restituta 'Sugarille', Brunello di Montalcino DOCG, Italy" from the vintage 2008 on 31.05.2013 with 92 of 100 points. "Vinum Wine Magazine" has rated the wine "Gaja Pieve Santa Restituta 'Sugarille', Brunello di Montalcino DOCG, Italy" from the vintage 2008 on 01.04.2013 with 16 of 20 points. "Falstaff Magazin" has rated the wine "Gaja Pieve Santa Restituta 'Sugarille', Brunello di Montalcino DOCG, Italy" from the vintage 2008 on 22.03.2013 with 91 of 100 points. "Wine Enthusiast" has rated the wine "Gaja Pieve Santa Restituta 'Sugarille', Brunello di Montalcino DOCG, Italy" from the vintage 2008 on 05.01.2013 with 89 of 100 points. "Wine Spectator" has rated the wine "Gaja Pieve Santa Restituta 'Sugarille', Brunello di Montalcino DOCG, Italy" from the vintage 2007 on 30.09.2012 with 92 of 100 points. "Vinum Wine Magazine" has rated the wine "Gaja Pieve Santa Restituta 'Sugarille', Brunello di Montalcino DOCG, Italy" from the vintage 2007 on 01.05.2012 with 16 of 20 points. "Robert Parker The Wine Advocate" has rated the wine "Gaja Pieve Santa Restituta 'Sugarille', Brunello di Montalcino DOCG, Italy" from the vintage 2007 on 26.04.2012 with 96 of 100 points. "Falstaff Magazin" has rated the wine "Gaja Pieve Santa Restituta 'Sugarille', Brunello di Montalcino DOCG, Italy" from the vintage 2007 on 22.03.2012 with 92 of 100 points. "Robert Parker The Wine Advocate" has rated the wine "Gaja Pieve Santa Restituta 'Sugarille', Brunello di Montalcino DOCG, Italy" from the vintage 2006 on 05.03.2012 with 95 of 100 points. "Wine Enthusiast" has rated the wine "Gaja Pieve Santa Restituta 'Sugarille', Brunello di Montalcino DOCG, Italy" from the vintage 2007 on 05.01.2012 with 94 of 100 points. "Wine Spectator" has rated the wine "Gaja Pieve Santa Restituta 'Sugarille', Brunello di Montalcino DOCG, Italy" from the vintage 2006 on 31.08.2011 with 94 of 100 points. "Vinous Antonio Galloni" has rated the wine "Gaja Pieve Santa Restituta 'Sugarille', Brunello di Montalcino DOCG, Italy" from the vintage 2006 on 01.07.2011 with 96 of 100 points.